Is Kelvedon Nuclear Bunker Haunted? 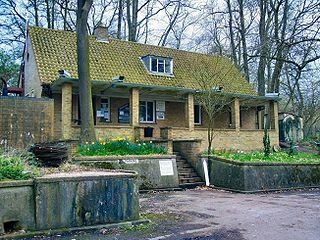 The Kelvedon nuclear bunker was originally built between 1952 and 1953 and was used as a hardened operations sector for RAF fighter command. It was built during the cold war and was maintained by the government as an emergency regional government defense site until the early 1990's when the threat of nuclear war was considered diminished, it was then sold back to the family that owned the land in the 50's. The bunker is underground and is open to this day as a tourist attraction and maintains many of its original features. The bunker is rumored to be haunted, but no hard evidence in the way of photo's or evp have been captured. Tales of the haunting at this site mostly include sounds, that of doors and gates slamming by themselves have often been reported, as well as the sounds of what appear to be a conversation between a man and a women, although after hearing them talk the two cannot be located. There is also the true story of how one of the workers died during the construction of the site by falling into the hole and being covered by concrete, his body, it is said, was never found. Whether he is one of the residents that haunt this location is up to the imagination of the reader.